Find out how to reserve your free copy of Windows 10 and how to prepare your PC for the update. Windows 10’s release date is just around the corner and there are a few simple checks to make sure you get access to the new operating system on day one. This means you can wave goodbye to the much maligned Windows 8 and, more importantly, use the wealth of innovations in Microsoft’s latest OS, like the Cortana voice assistant and new Edge web browser. Read on to find out if you qualify for a free copy of Windows 10 and all the steps you need to take in order to download it on 29th July. If you own Windows 7 or Windows 8.1 then you’re eligible for a free upgrade to Windows 10. 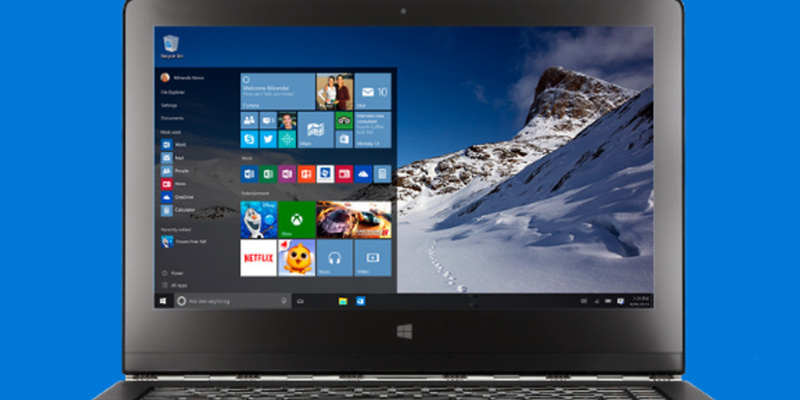 However, in order to get Windows 10 you need to be running the latest version of your respective system. To update your version of Windows over the internet, first open Windows Update by clicking the Start button. In the search box, type Update and then click Windows Update in the results. In the left pane, click Check for updates and then wait while Windows looks for the latest updates for your computer. If any updates are found, click Install updates. Once your operating system is completely up-to-date you’ll have to reserve your free update for Windows 10. Take a look at your system tray (in the lower right of your desktop) and you should see the Windows logo. Click it to begin the reservation process and enter your email to receive a reminder once Windows 10 is available. Once Windows 10 is available we’ll also write a guide to updating to guide you through the installation process. What if you don’t have Windows 7 or 8.1? Unfortunately, Microsoft’s offer only extends to paid for versions of Windows 7 and Windows 8.1. This also includes a pre-installed version of Windows on a store bought laptop. If you have an older version of Windows, or even Windows RT, then you will have to buy a fully licensed version of Windows 10 if you want to adopt Microsoft’s most recent operating system. You can check which version of Windows you have by clicking on Control Panel, then on System and Security and then System. It’s all worth bearing in mind that Microsoft’s offer of a free copy is only redeemable within the first year of Windows 10’s launch, so make sure you upgrade quickly to avoid paying for the software. 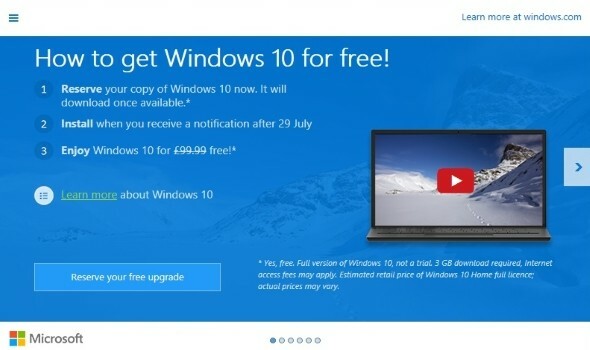 Why exactly is Microsoft offering Windows 10 for free? There’s no one answer to this, but rather a combination of factors. First, the move makes up for the lukewarm reception reserved for Window 8 by its users – something that Microsoft can’t have failed to notice. More than that though, an almost universal move towards Windows 10 for Windows users benefits Microsoft by making the versions of Windows out in the wild much more homogenised. This not only makes rolling out security updates easier, but also means accessories such as the upcoming HoloLens augmented reality headset are compatible with a greater number of PCs – boosting their potential sales.